Buddha taught that if we examine the true nature of things, we will discover that all things are mere appearances to mind, like things seen in a dream, totally dependent upon the minds that perceive them. If we learn to think like this, we shall be able to live lightly and have the flexibility to respond to every situation in a constructive way. There is no greater method for experiencing peace of mind and happiness than to meditate on the true nature of things, emptiness, it is the universal solution to all our problems. 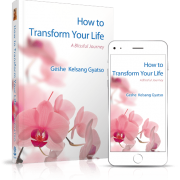 On this special day course visiting Teacher, Gen Kelsang Zopa, will introduce this profound and liberating subject with clarity, suitable for both beginners and those with more experience. 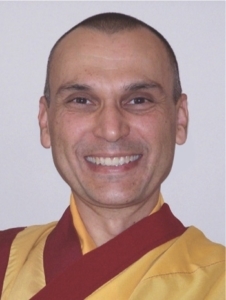 A Canadian Buddhist monk, Gen Zopa has been presenting the profound and practical teachings of the Buddhist path for over 20 years. He teaches introductory classes, Foundation Program and the Teacher Training Program in the Victoria region. Renowned for the clarity and depth of his teachings, his warmth and practicality bring to life the ancient art of meditation.